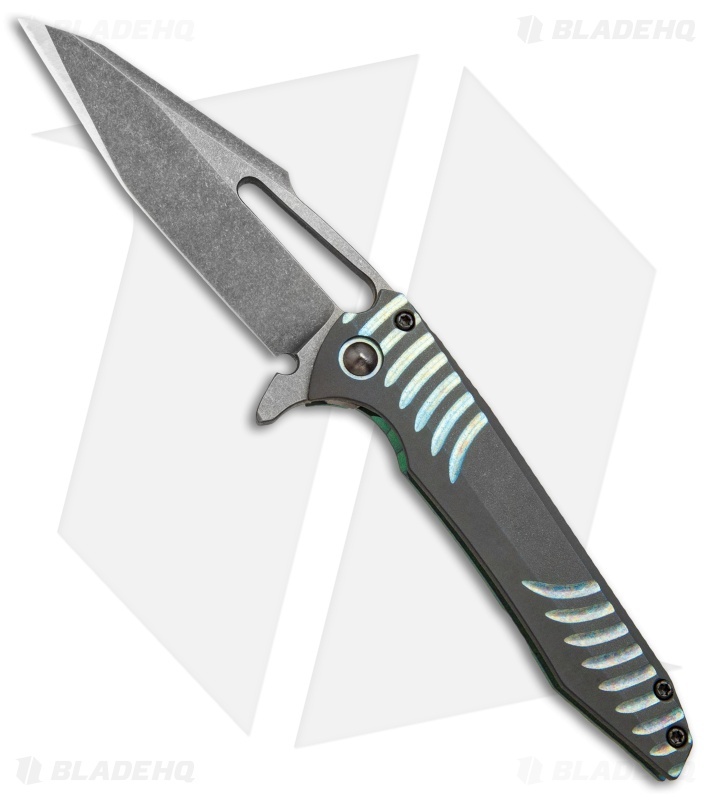 This custom Gavko Mako is an incredible flipper created with extreme attention to detail. Its modified tanto blade has an acid stonewash finish and opens via flipper in excellent form by utilizing a ceramic detent and ball-bearing pivot. 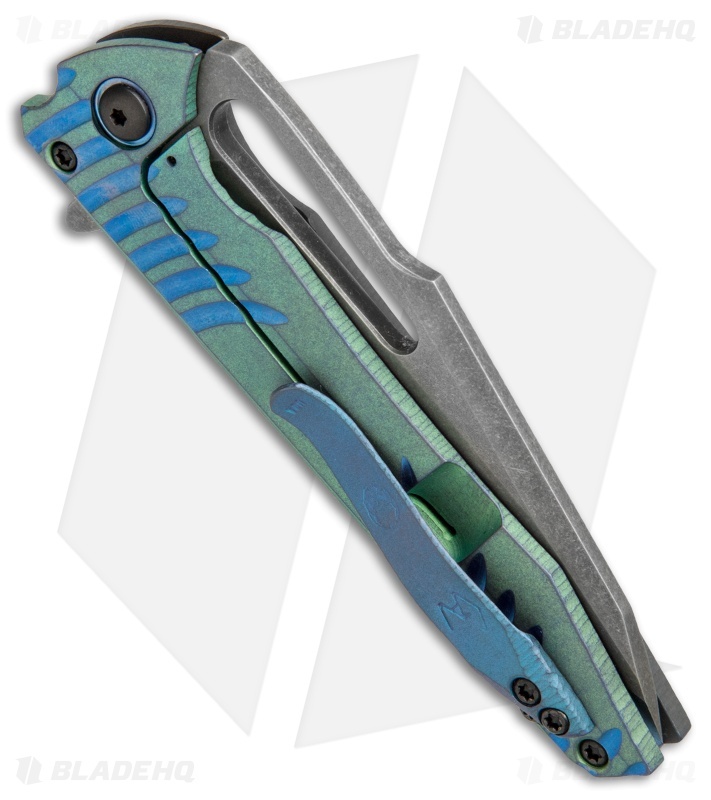 The handle features a tumbled zirconium front scale, and a green anodized titanium frame lock with blue anodized accents and pocket clip. 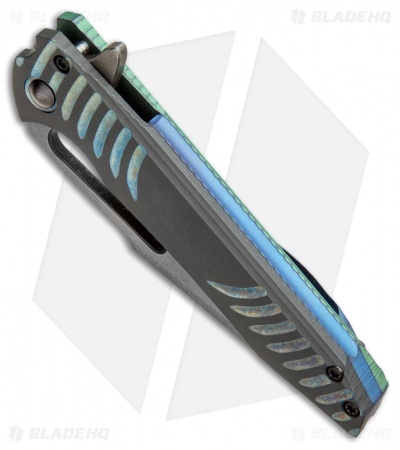 Sculpted texturing has been added around the handle edges for added grip security. 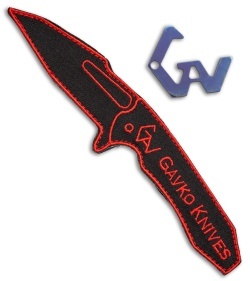 Includes a purple anodized Gavko Ti bottle opener and red/black velcro patch.